Meik and Diane Skoss, whose qualifications in the Japanese classical martial arts are unmatched in the NYC Tri-State area, are responsible for all instruction at the Shutokukan. Meik began his martial arts training with aikido in 1966. He lived and trained in Japan from 1973 through 1997, punctuated by several years at Montana State University, where he acquired his MS in Physical Education. 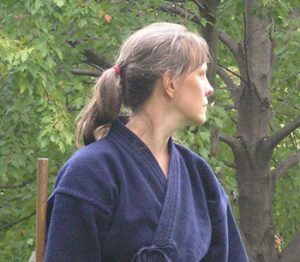 Diane first started aikido in 1982, then moved to Tokyo in 1987 and began training in other Japanese arts shortly thereafter. They returned to the United States and settled in New Jersey at the end of 1997. The two began instructing Shinto Muso-ryu jo in 1998, under the direct authority of menkyo kaiden Phil Relnick, student of Shimizu Takaji and Nishioka Tsuneo; Diane is now menkyo kaiden in her own right. Meik, as a fully certified shihan (inka) of Toda-ha Buko-ryu began working with select students in 2004. They now have active groups working out of Greg O’Connor’s Aikido Centers of New Jersey East Hanover dojo. Meik is also a senior member of the NY Yagyukai. In addition to their substantial martial arts credentials (see below), both are extensively involved in research and publications focused on the classical Japanese martial arts, or koryu bujutsu. 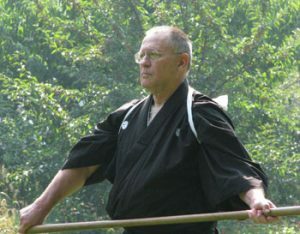 Meik is fluent in Japanese, and the owner of a significant library of martial arts books in both English and Japanese; he is also one of several hoplologists continuing the work of Donn F. Draeger. He has traveled throughout Japan visiting various dojo collecting information on the Japanese martial arts, and has published a number of articles based on these forays. Diane is the creator of Koryu.com, the premier web site devoted to the koryu bujutsu, and is founder and owner of the publishing company, Koryu Books. She is editor of the three-volume “Classical Warrior Traditions of Japan” series.